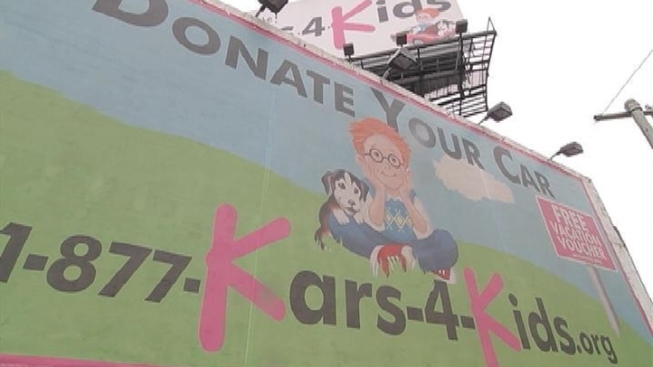 Kars 4 Kids investigated by several attorneys general. Kars 4 Kids is known for a radio jingle that promises the proceeds from donated cars will go to fund charity programs for children. But the News 4 I-Team has learned the nonprofit has used a significant portion of donor funds to invest in risky real estate ventures that appear to have nothing to do with cars or kids. Financial statements for two nonprofits associated with Kars 4 Kids show the charity lost more than $5 million on real estate investments in 2010. In the same time frame, Kars 4 Kids spent about $6 million on programs for children. Kars 4 Kids is the public name for two lesser-known entities called JOY for Our Youth, Inc. and Oorah, Inc. According to public disclosures made by Oorah and JOY, Kars 4 Kids lost $2.5 million on a proposed outlet mall near the Outerbridge Crossing on Staten Island. The charity also lost more than $2.3 million on two failed high rise condominium towers in Jersey City known as The View I and II. Additionally, the charity invested $500,000 on a mixed-use development project in the Sanhedria neighborhood of Jerusalem, Israel. The property was subsequently foreclosed upon and repossessed. Doug White, a philanthropy expert who teaches at Columbia Univeristy, said charities are supposed to invest cautiously, using what is known as “the prudent investor” standard. He said a responsible charity might invest 2 to 3 percent of its assets in real estate ventures. In 2010, Kars 4 Kids invested and lost more than 15 percent of its net assets on real estate ventures. Hank Sheinkopf, a spokesman for Kars 4 Kids, said the failed real estate investments were part of an attempt to build an endowment for the nonprofit so that the charity can expand its services to children in the future. “We believe real estate will return to value," he said. The charity said in a statement that the investments mentioned were "vetted and executed based on professional advice," and that they met internal guidelines. Every transaction, the charity said, was "scrutinized by our auditors" and was authorized by its board. Because Kars 4 Kids is the public name of the two lesser-known entities, tracking its spending can be difficult. Oorah was founded by Staten Island Rabbi Chaim Mintz. His charitable mission has been to introduce non-observant Jewish children to Orthodox Judaism. Neither the Kars 4 Kids radio advertisement, nor the charity’s outdoor billboards mention the donations actually fund a religious purpose. In 2009, attorneys general in Pennsylvania and Oregon forced Oorah to pay $130,000 in fines for failing to disclose the religious purpose in ads. "When those questions have been raised by appropriate officials, appropriate settlements have been made by Oorah," said Sheinkopf. Since the settlements were announced, Oorah has changed its website to reflect the religious purpose. "In fact the website shows, very clearly, what kind of people are receiving the benefits of those cars for kids as an attempt almost to say ‘I'm sorry,’ and to ensure in the future no one has any question about where that money is going," Sheinkopf said. Aside from disclosures regarding the failed real estate investments, the financial statements filed by Oorah and JOY indicate attorneys general in both New York and New Jersey were also investigating the charity in 2010. News 4 reached out to both offices. Representatives declined to elaborate, or say whether the inquiries were closed.